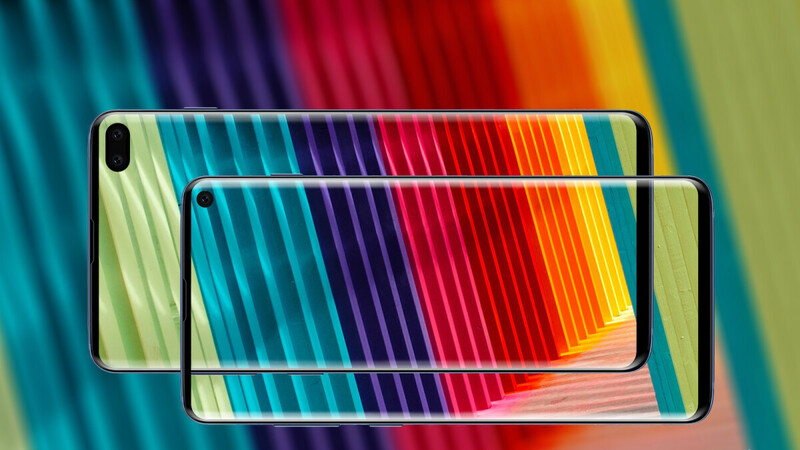 Of course, it never hurts to hear from an official source that the Galaxy Fold (or Galaxy F, or Galaxy Flex) is indeed coming next week, along with a more mainstream Galaxy S10 family cryptically teased on YouTube by the tech giant's Vietnamese branch. While terribly brief and mysterious, three fresh promotional videos seem to corroborate new and old rumors regarding key Galaxy S10 features. First, the in-display fingerprint scanner we've known about for several months now. Interestingly, the title and description of the otherwise generic clip specifically mention "ultrasound" technology, essentially confirming Samsung will be able to adopt a faster, more accurate method of "invisible" fingerprint recognition than many of its Android device-making rivals. Apart from ultrasonic in-screen biometric authentication functionality, these teaser videos suggest the battery and cameras will also be crucial selling points of the S10 and S10+. As a side note, the lower-end, lower-cost Galaxy S10e is expected to come with a side-mounted fingerprint sensor, which might be a big strategic error on Samsung's part. Back to the battery and imaging features seemingly confirmed in Vietnam, these have actually been rumored not that long ago. The Galaxy S10 will apparently allow you to "share impressive wireless batteries", a characteristic otherwise known as reverse wireless charging, while sporting a "4K camera with professional vibration." That would have been a slightly harder nut to crack were it not for recent gossip of top-notch selfie camera prowess including 4K video recording abilities and optical image stabilization. Pretty exciting stuff, but does Samsung have anything else up its sleeve? You guy's are going to love the S10. Samsung hit it out of the park with this one! Having had the S10+ in my hands it's the best phone not out yet! How would you rate the camera? Is it better than the Pixel 3, or Huawei P20 Pro/Mate 20 Pro? I really doubt its gonna be better than the pixel 3 sadly, imagine how good the pixel 4 camera will be. I'd say slightly better than the pixel and I cannot compare to the p20 as I have not spent any time with that device. Also remember I was working with pre-production software as well. Based on some samples, the S10 night sight will hit the competition strong.Ois 4k front camera too.This S10 will be a killer. No you don't, do you really? Also to me it seems like a small upgrade over the s9, is it? How's the performance on it? Idk if its worth getting it over the pixel 4 considering its a Samsung phone and they are the worst in performance, and are slow to get updates, the pixel 4 has stock android, gets day 1 updates and 3 years of update support, that's 1 more year than the s10 but it will actually get 2 more updates since it will launch with android q while the s10 will launch with android p. Oh and the s10 won't have ufs 3.0 and ddr5 ram, I don't know if the pixel 4 will have ddr5 ram but I feel like it will have ufs 3.0 since its gonna be launched at the end of the year and even the oneplus 7 has it. Yes. Nothing revolutionary compared to other flagships. If Mate 20 Pro price drops further it will be a better deal than the S10 plus anytime. "...considering its a Samsung phone and they are the worst in performance..." LMAO! Says who? "...the pixel 4 has stock android..." And? Stock is boring & I have out performed many of Pixel 3/XL's on my almost 2 year old Note 8. As for the rest of your comment, the Pixel comes out more than 6 months after the Galaxy S so our should be better since it had a head start. Sounds great, but i am waitimg on the note 10. They shrunk the bezels so it's worth considering for myself. Although I am not a fan of the software or the software bugs that come with it. Some of the issues I had with my S8 was I couldn't play music with phone in my pocket or it would skip songs as I jogged. It would overheat in my pocket for no apparent reason. It would turn on on its own draining the battery. The charging port went to crap a few months after so I needed to replace the unit. Coming from an oppo vivo one plus user where build quality is excellent and software wasn't as trouble some i expected more. Overheating, power cycling & battery drain are all hardware issues which are indicative of a bad unit, not software bugs. I believe it was a combination of both. I think software bugs comes with Pixels and iPhones. Did they? They always make phones that are truly worth the money unlike the other overpriced garbage who makes people pay extra for a dongle and fast charger and yet nothing justifies a 1000 dollar price tag on what it offers. The MSRP is 1,000 dollars, but no one pays that price and receives just the phone. It is either bundled with other merchandise or sold at a discount. On Black Friday 2018, I bought the Note 9 for 599. Today, you can find it for about 700 dollars with no bundles. Compare that to other 1000 dollar phones.